RealAudio sermons, vision statement, core values, and photo slideshow. Christian worship resource site providing prayers, poetry, worship service outlines, guitar chords, mp3 files, multimedia, and worship links. Three stations programming contemporary worship, praise and worship and Spanish worship music. A resource for both worshippers and worship leaders. Includes articles, music, devotionals, discussions, jobs and a Bible study on worship. Worship songs, feature articles, interviews with skilled worship leaders. Worship Resource for free MP3s, lyrics, theologies of worship, musical, unplugged, laid back, relaxed, simple, Godly and Spiritual Christianity. Informational reference on using tabrets, shields, worship flags and prayer banners in worship. Also has information on colors, spiritual warfare, attire, materials, symbols and authority. Indexes and links on the use of music and psalms in worship. Official site for this praise and worship ministry. Site includes a calendar of events, worship articles and vision of the worship team. The site advertises worship planning software for churches using the new Common Worship services, covering program features, software and worship forums, reviews and purchase. Resources on Biblical worship. Covers Psalm singing, the use of musical instruments, and answers recent attacks against the regulative principle of worship. See His Face Worship Ministry is founded by Richard Hamilton to teach others and lead them in worship to develop a deeper desire for an intimate relationship with Jesus Christ. Original praise and worship songs, childrens Christian Christmas musicals, contemporary worship services for children and adults and youth musicals. A resource for Christian music teachers and worship leaders. Provides resources, articles and links to many churches with online audio of live worship. Includes contact information and worship schedule. Features worship lyrics to songs of Christian artists. Worship conference held in the World Trade Center in CuraÃƒÆ’Ã‚Â§ao. Victoria. Includes contact information and worship schedule. Rev. Thomas L. Weitzel collection of worship materials. A place where worship leaders in the UK can come and discuss issues. Christian worship leader, songwriter, composer and arranger available for retreats, conferences, worship seminars, and concerts. Provides a vision statement, ministries, a worship schedule, worship times, the staff directory and a newsletter. Blog by a congregational worship leader at Covenant Life Church about music, praise, and leadership. DeSoto. Information on beliefs, staff, ministries, and weekly worship schedule, and special events. Christian dance School based in Powder Springs, Ga. Also offers worship favors and garments for sale. Although Calvin relied on singing in worship by the people, he discouraged the use of musical instruments in many statements quoted here. Eldridge. Provides a vision statement, ministries, a worship schedule, worship times, staff directory and newsletter. 32 River of Life Worship Center Blue Earth. Blue Earth. Contact information, worship times, mission statement, and a list of the churchs ministries. If the business hours of Rock Creek Church in may vary on holidays like Valentine’s Day, Washington’s Birthday, St. Patrick’s Day, Easter, Easter eve and Mother’s day. We display standard opening hours and price ranges in our profile site. We recommend to check out rcreek.com/ for further information. 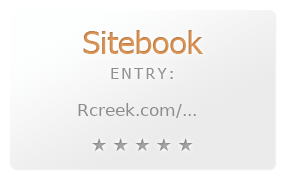 You can also search for Alternatives for rcreek.com/ on our Review Site Sitebook.org All trademarks are the property of their respective owners. If we should delete this entry, please send us a short E-Mail.